What Is Moteefe? In this Moteefe Review, I hope to explain and highlight the essential features that can be found here, thus helping you decide if selling at Moteefe is worth it and I’ll let the cat out of the bag earlier too. It’s worth it. Keep reading to find out why. 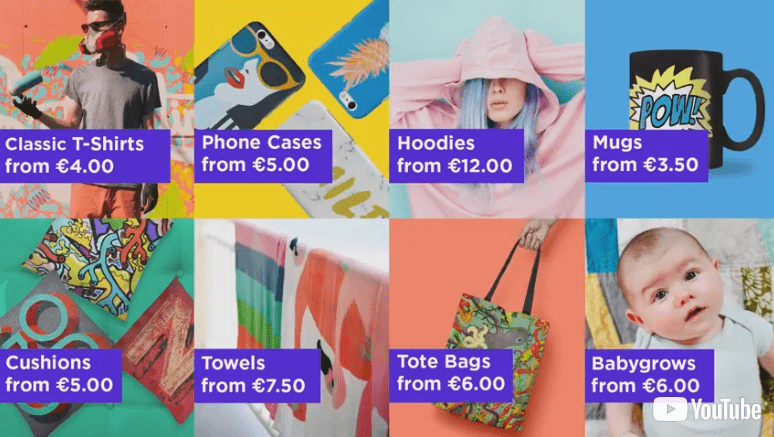 Well, Moteefe is a selling platform, also called a Print On Demand business, for individuals designers to design, market, and sell their products from. Letting Moteefe handle the production and fulfillment of printing your design on the various products they offer. Leaving you only to designing and promoting your products, while they do the rest. Moteefe primary mission is to help entrepreneurs make money. Ohh what a relief – sign me up right now! I’m not joking here! That is always a good sign when a company says this. 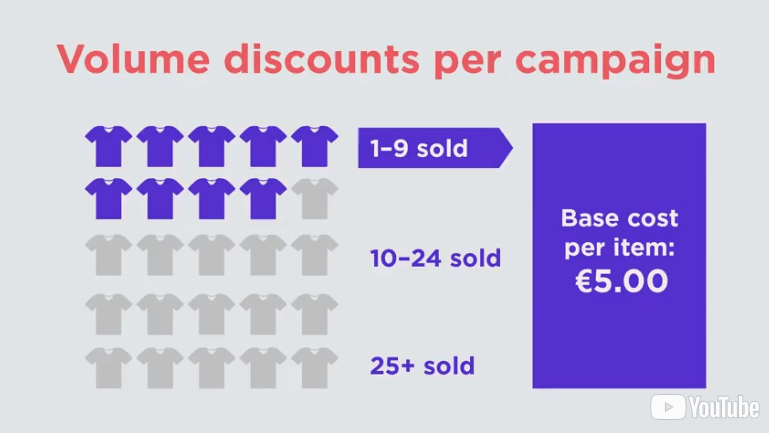 This is why you need to stop and take notice of this website if you plan on using a print on demand company to help sell your t-shirt designs they’d designed their business to help the individual making the most money possible. 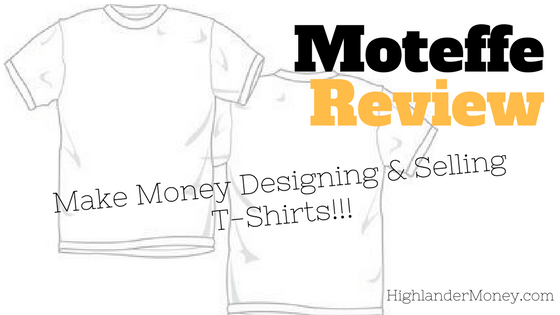 The Moteefe platform is unique and provides qualities that deserve a serious look for both experienced as well as the novice t-shirt entrepreneurs out there. Moteefe also is unique in the world of Print On Demand business, as it is strictly based on focused marketing. This means that the seller/designer is solely responsible for marketing their product. As other Print On Demand business, you have the option of browsing designs from other designers/sellers on their website, not the case with Moteefe. While at my first thought, I thought this was a big negative, but have since changed my mind on the matter. As this keeps you specifically targeted at the right audience. One of the few Print On Demand companies that allows you to market and sell to both the EU and the US. As they have the ability to print and ship in both regions. This opens up many more areas in which to potential markets to sell to. So, let’s get into the nuts and bolts of Moteefe. To better understand Moteefe we need to know what products they have available in which to design for. So the 29 products that are available to start designing for now. Also, they plan on expanding this in the future as well. many many products coming down the pike as well. Moteefe offers a low base costs with volume discounts. This translate to more money in your pocket and even more significant money when you sell a lot of products. This coupled with NO hidden fees, NO processing fees, and NO handling fees. Moteefe seems to want to attract sellers by offering very attractive pricing and allowing you to make as much money as possible. Very low product base costs. Seller Tiers to reward active sellers. Base costs for some of their key products. Joining Moteefe is simple and easy to get started. The more you sell, the higher your profits. As you sell more, you are rewarded with a base cost reduction. (see below) This increases your very important profit, how great is that? This is a great feature and incentive to sell more product. How Are You Paid At Moteefe? There are three methods of getting paid at Moteefe. Pretty important stuff right? After all your hard work designing and marketing your designs, you want to get paid right. They also have the same day pay profit payout, which is impressive. Able to sell both to the EU and the United States. This is powerful! As you can sell your products globally, which increases your exposure, all the while having a low cost per click expense with marketing. The ability to adjust your selling price per campaign. This is an excellent feature as right below it is the Profit Calculator when you’re designing your campaign. This shows you what potentially you can make if you sell a certain amount of products. Easy to adjust your design when designing your product. All of the useful tools to get your design just right. Global supply platform with products being produced both in the US and EU. Recently upgraded to a brand new website. Each Seller is appointed a personal account manager at Moteefe, who will help with any question or problem. Very proactive on copyright infringement, by account bans or campaign takedowns. Thus protecting the designer. 3 Methods of payment that should satisfy just about everyone. Sell 250 items and receive a bonus of €250.00 or $250.00. A great incentive to get going right now! Their new site is fully mobile optimized!!! Great feature. The ability to upsell and cross-selling. The ability to sell all the products in a single campaign. So you could have a single design and sell it on all the products they have available. Some print on demand sites don’t have this. Same day profit payout! What…YEAH! 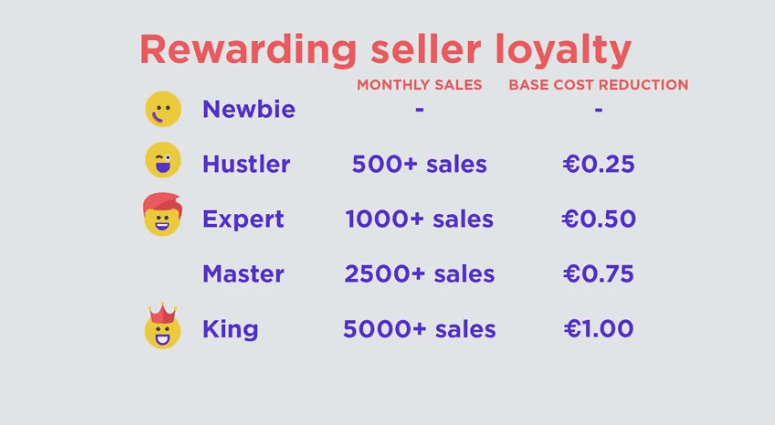 Seller Tiers – this is great if you sell a lot of product as Moteefe rewards you for your increased efforts. So the more you sell, the higher your profits are. A great incentive to sell more as you will get paid more for each item. Editing your products platform is excellent and has a lot of the option you want when editing your designs. Good amount of different products to put your artwork on. Can select up to 8 different colors per item. On choosing a campaign length, you can only list for three weeks but…you can set it up to either relaunch, keep it ongoing or to just end the campaign. Great choices on sizes, probably the best I’ve seen yet. As they over small all the way up to 5XL on specific shirts. Your design will only be seen by people you market to. This will help ensure your design will not be copied. A blog that is jam-packed with useful information. Highly recommended that you take a look at and spend some time going over. Uploading speeds are kind of slow as compared to other sites I have used. It just takes a little bit on larger files. It’s not a deal breaker but worthy of note. Campaign length maximum length is three weeks. I like having my campaigns lengths where they last for forever, as I don’t have to spend time relisting the campaign. You won’t have the option of people browsing the Moteefe site and finding your products. As Moteefe focuses on marketers rather than designers at this current time. So what does this mean? 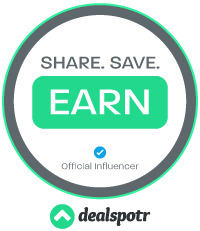 This means that if you choose to sell your designs at Moteefe, you will be solely relying on yourself to promote and market those designs yourself. Although, this has both good and bad aspects to it and why I decided to add it to The Bad. As the good part of it is, that fellow designers will not be so easy to see your design and copy it. As this is a rampant problem on other sites. If you’re new to the T-Shirt designing world I highly recommend you head on over to my webpage and have a look-see, Tips On Designing T-Shirts And Selling Them Online. Pack full of tips and resources to get you designing and selling but more importantly making money. 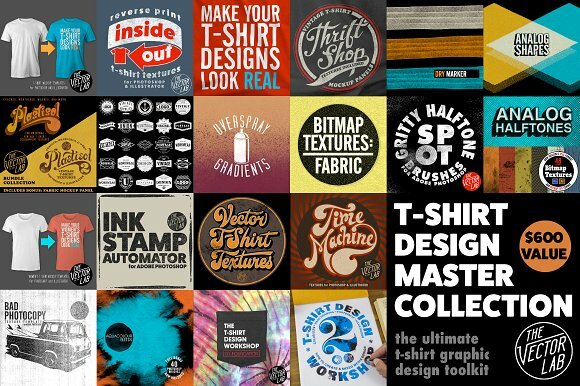 If you need amazing fonts or want other design tools. Check out Creative Market, a fantastic site with super cheap fonts that come bundled. You can also come up with ideas by just browsing what they have too for ideas for shirts. Another good option and just as cheap as Creative Market is Mighty Deals. Makes it extra easy to step up your T-Shirt game. Visit Moteefe Blog, as they have a plethora of beneficial information in which to learn from. You can also sign up to subscribe to be informed when new information is added. Contact your personal account manager if you are having any problems, as each seller is appointed one. They are there to help you. Links to both the websites for Print on Demand t-shirts companies and my reviews of these companies. I also suggest you join as many of these sites as possible and upload your artwork to be sold, this will significantly impact the money you make and help you make the most possible money. To be effective at Moteefe your going to need to know marketing. Facebook, social media and all that jazz to prosper here. As Moteefe leaves that solely in your hands to handle. I would say if you are experienced at marketing products and you are comfortable with doing so, Moteefe is a great option. If you’re looking to expand your audience as well, as Moteefe products are both produced in the US and the EU. This allows you to market to both with low cost. If you are a person with great ideas and/or you have artistic talent…you can make residual income by selling t-shirts. It really helps to know graphic arts as well. But you can learn as you go as well. Moteefe provides another platform to increase your exposure to more potential buyers. Moteefe doesn’t really offer any Tools & Training on their website but…they do have a blog which is chalk full of info that will definitely help you. Off site. I have found a few videos on YouTube with some value to them, created by Moteefe. They can be found here Moteefe YouTube Video Channel. Along with the videos, their blog is mostly where you will find VERY useful information. Although they are currently working on a knowledge base to expand their training and tools in which to help sellers. They have a FAQ page which is always useful, as well as a Contact Us page. Along with that you are assigned a personal account manager, that you can lean upon when problems arise or to just to ask for help. I’ve had nothing but prompt services while contacting Moteefe with valuable insights resulting. The price is FREE to sell products at Moteefe. Moteefe is a unique company, with a different outlook than most of the other print on demand businesses out there. Offering the ability to market your designs to both the U.S. and the EU, while solely leaving the marketing upon your shoulders. This allow you to do your own marketing with a reduced cost. Moteefe is more for people that are looking at making money online and marketing rather than solely designers currently. With a decent amount of products to design for it will keep you content. Adjustable pricing, personal account manager, great incentives, rewarding sellers loyalty and much more all which provide the necessary tools to keeping their sellers happy and prospering. So, I hope I have helped you decide and discovered that Moteefe is a great place for sellers to make money. It’s right up there in the top rankings of other similar companies. ‹ Is Survey Junkie Legit Or A Scam? Thank you for the kind words. Hope this gets you started and on your way. It’s a scam or legit web? They can print in both the United States or the European Union. As they have business in both to handle printing and shipping in both. Moteefe is scam or legit web? Moteefe prodct print on UE or US? Moteefe is a legit company. Although, they haven’t been around that long, they are improving and growing. Which I like to see in a new company. They are printed in both the U.S. and EU depending where the order is shipped to. Hope this helps you. Thank you for this information. 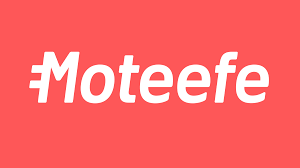 Could you use Moteefe like you would with Printful or Gearbubble? Customers order from you, you order from Moteefe and have them ship to the customer? So for the moment, we only work with the intended use of the buyer ordering from the Moteefe campaign than use us for a fulfilment, but this is something we are potentially looking at for future updates. Hope this helps you Kim, as I did know the answer to your question. Thanks for the great comment Delwar. Glad you like the article. I am having a very bad experience with Moteefe. Their pictures show crisp shirts but the reality is completely different. I paid for a premium t-shirt and received low quality tshirt material and horrible print that is faded and plain ugly. It even took them three weeks to deliver my order. Also, a tshirt they sent me is much smaller than advertised and they won’t accept responsibility or replace it. They bounced me around with their email. I will never recommend a company like that. Sorry to hear that. I would continue to contact them seeking a fix to your problem. The wrong size shirt should at least be fixed at a minimum. Let me know if it get resolved. Thanks, Ringkon! Happy Blogging to you too!